If you are like me there is a good chance you are having a few backyard BBQ’s. Luckily you don’t have to chose between staying healthy and having a fun cookout. I have collected some amazing healthy BBQ recipes that you can pick and chose from in order to put together the perfect cookout menu. My BBQ style usually includes asking for volunteers to bring an appetizers or dessert. There are no rules that say you have to do everything yourself. Asking for folks to bring a dish not only makes things easier to manage but helps keep your BBQ within a reasonable budget. Hopefully. But it is all up to you. Whether you are providing all of the food or just some, there are enough recipe ideas here to get you started and keep you HEALTHY. Chips and salsa. This is always a classic and in the summer months you can usually get your hands on some pretty delicious tomatoes to make the salsa yourself. This salsa recipe has simple, healthy ingredients and is always popular. Veggies and dip. If your mission is to keep your BBQ a bit healthier avoid chips, pretzels, and other unhealthy noshes and stick with veggies. A veggie tray with a dip or two are not only a nutritious alternative but also looks stunning. A delicious greek yogurt dill dip is a great choice (I would use full-fat yogurt though.) Or maybe, one of my favorites, a delicious hummus! If you want to really WOW the crowd, try this roasted beet hummus for some fun color and delicious flavor! Guacamole. Again, you can't go wrong here. Guacamole is a healthy and easy dish you can make in minutes. It is always popular and you can pretty much guarantee you won't have leftovers. Here is a basic recipe for this yummy BBQ starter dish. You might notice that my choices for BBQ starter dishes are all cold ones. They are things I can grab out of the fridge, add some finishing touches and lay they out for guests. One thing I do not want when hosting is lots of extra time stuck in the kitchen. So why not keep the menu simple and easy to manage? Now for the main course which we have divided into the next two sections. Fresh Corn and Tomato Salad. Maybe it is because I live in the garden state and have fresh corn to my left and right all summer long, but I love fresh corn salads at a BBQ. This recipe is simple and loaded with healthy ingredients. The fresh cilantro is clutch! Quinoa Salad. This salad is packed with protein and tons of other nutrients. Not only is it seriously healthy, it is pretty, too. This recipe is pretty simple, too. Any vegetarians at your cookout will appreciate this one. Cabbage Salad. I make this salad, or one just like it, pretty often. Although it is has a short ingredient list and is probably the easiest salad I make, my kids LOVE this! It is the salad my mom always asks me to bring to her backyard cookouts, too. A crunchy cabbage salad like this one is a great addition to your BBQ. Beet Salad. Beets are so healthy. They promote good heart health and are full of antioxidants, among other amazing benefits. I would cook the beets for this recipe ahead of time and mix together this salad right before putting it on the table. Grilled Swordfish. This is my new favorite fish and I absolutely love it on the grill. This recipe is a suggestion with simple seasoning but you can keep it even simpler and just do a little olive oil, lemon, salt, and pepper. Tastes great every time. Chicken Thighs. Chicken thighs are a great backyard BBQ menu item. They are easy to grill and easy on the budget. This simple recipe is an easy way to wow your guests. Shish Kabobs. Not only is this a fun BBQ dish to include on your menu but this recipe is the best! It walks you through everything and makes shish kabobs a no-brainer. Turkey Burgers. No backyard cookout is complete without burgers. If you want to stick with a bit of a healthier plan you could go with some turkey burgers to switch it up. This recipe is pretty tasty and not difficult at all. You can even make these ahead of time, freeze them, and defrost them before the big day! Minted Watermelon Pops. Holy moley, this recipe is magic. This will work for both kids and adults. And I will confess. I am not just using this recipe when I have company. This is too good to wait for a special occasion! Fruit Salad. I mean, no recipe necessary but if you insist, try this one! Healthy Strawberry Kiwi Pops. Another simple recipe that you can make well ahead of your actual event. You have to love it when you can make your healthy life even easier! This is a recipe we make throughout the summer. It is cool, delicious, and made with some pretty healthy ingredients. Hopefully you have a gathered some great ideas for your next healthy backyard BBQ. If you would like to share your own ideas or tell us how your outdoor event comes together, join us in the Real Mom's Collaborative, an online community for moms on a healthy mission. We would love to see you there. Get the benefits of our Email Community! To start, I will send you a FREE healthy shopping list for your next trip tot the supermarket! Every once in a while I take a step back and ask myself what new and small change can I make that will make our home a little greener. I replaced aluminum and plastic wraps with bees wrap. After the summer, I stopped using our dryer and we now air dry all of our laundry. The latest way I have “greened up” our home is by making my own homemade laundry detergent. This has been on my list of things to do for a while but for some reason I was intimidated to try it. I am so glad that I got over myself and went for it because nothing will be the same again. Not only does the laundry smell amazing, I can feel a lot better about the ingredients I am currently using (and NOT using). Really, it is that simple! 2. In the blender, combine grated soap, Borax, and washing soda. 3. Blend until you have a consistent powder. 4. Store in a glass jar. 5. Add 1-2 Tablespoons to your washing machine for each load of laundry. Uh, huh, I know. How unbelievably SIMPLE! It is worth giving it a shot yourself. It is inexpensive compared to purchasing factory-made detergents and you control the ingredients. (I like that!) You have got to give it a try. Below I have listed the ingredients I have used should you want to have a go at it! If you do, please tell me what you think! More easy tips and a FREE HEALTHY SHOPPING LIST! Join our email community and watch ehalthy lviing get a whole lot easier! 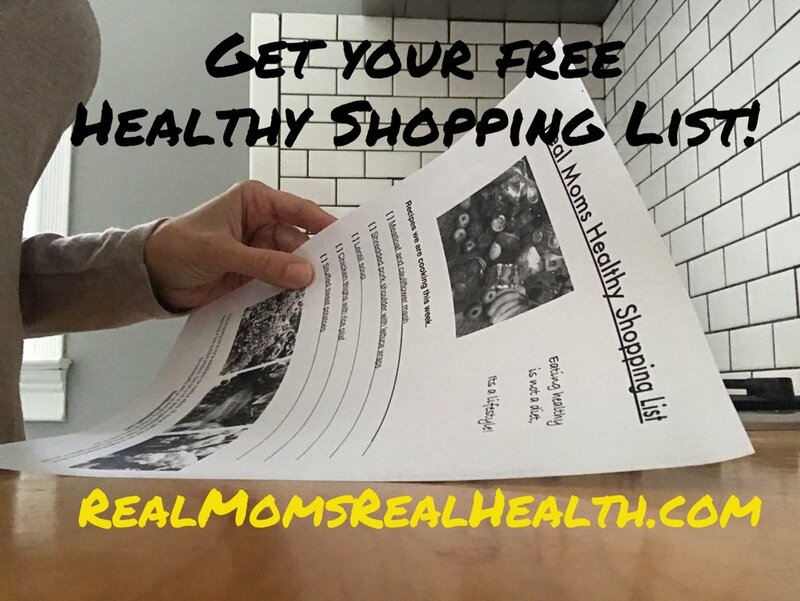 Get your free shopping list!